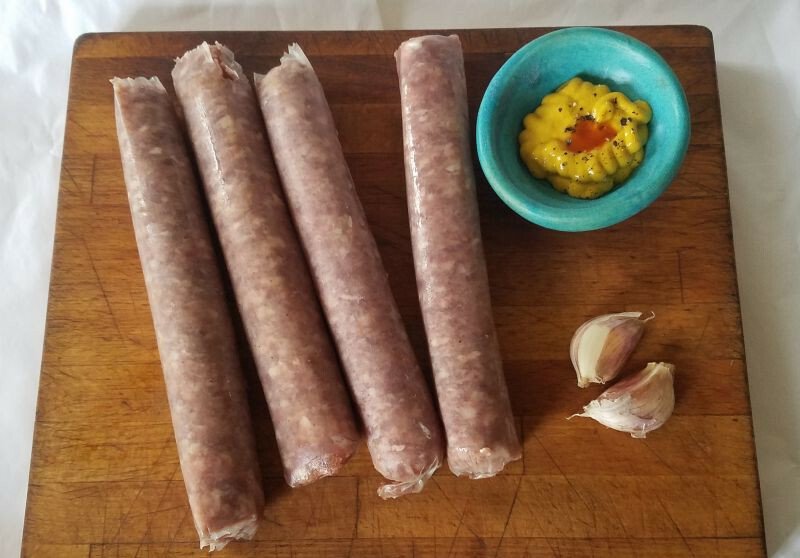 Enjoy our garlic sausage. These are especially good grilled or broiled so there is some dark crust on the outside. Great with roasted cubed potatoes or on a roll with mustard and grilled vegetables. Note: Some packages were labeled as kielbasa. We've attached a "Savory Garlic Sausage" sticker over the label. These sausages could be considered as part of the kielbasa family since there are many different traditional kielbasa recipes from Poland, but kielbasa products that most people in our region expect almost always contain marjoram and often are smoked, so we didn't want to confuse anyone.